Two demonstrations, one on the west side of Vancouver, the other on Burnaby Mountain. Each one has strong support in sizeable portions of the church, and the support of activists who are keen to work with like-minded people from other religions and the community at large. On Monday (April 23) opponents of the SOGI 123 project gathered across from the BC Teachers’ Federation office near the south end of the Cambie Street Bridge. 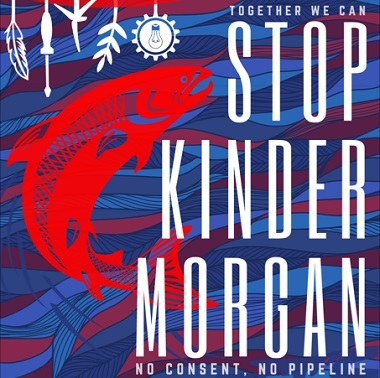 On Saturday (April 28), a number of church leaders will gather to protest the Kinder Morgan pipeline project. Have you been concerned about the onslaught of SOGI (Sexual Orientation and Gender Identity) material and events happening in local and public schools? . . . show your displeasure at the indoctrination of students – at all grade levels – with attitudes toward sexual permissiveness and gender confusion. . . . The SOGI agenda affects everyone. It is about deconstructing our culture. It is in Ontario and much of the USA and Australia already; it is coming to Alberta. If we don’t work together to stop this insidious indoctrination, soon no student or parent will be safe from coercion or free to express their own ideas about morality. The Culture Guard Rally had spokespeople, young and old, Muslim, Romanian, Chinese. . . . Our crowd, 300 ++ strong, a beautiful mosaic of what true diversity is. Though it was not a Christian event, several of the speakers made reference to Christian faith. A one-and-a-half hour video on the Culture Guard site covers much of the action. 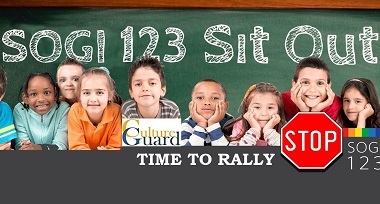 Across the street more than 100 people rallied in support of the introduction of SOGI 123 into the education system. Unlike the acronym LGBTQ+, SOGI is a subject or topic and not a list of specific identities. It is an inclusive term that is relevant to all individuals regardless of where they identify on the sexual orientation or gender identity spectrums, as every person has a sexual orientation and every person has a gender identity. It includes identities like lesbian, gay, bisexual, transgender, queer, two-spirit, heterosexual, cisgender and more. Opposition to SOGI 123 has been building steadily for several months, and I expect we’ll hear more about it before long. In the meantime, I wouldn’t count on most of the media to report fairly on that opposition. Another group of Christians will gather on Burnaby Mountain this weekend, to protest the Kinder Morgan pipeline project. On April 28, members of the Faith community will return to Burnaby Mountain to take action against Kinder Morgan. Whether you are spiritual, a person a faith or simply want to support those standing against Kinder Morgan, come to Burnaby Mountain . . .
Last week, 20 members of mostly Christian churches in a small action group risked arrest taking bold action against Kinder Morgan as part of their commitment to Indigenous land justice at the invitation of Coast Salish leaders [read letter below]. This Saturday, over 100 members of many Faith communities are answering the call from the spiritual leaders Watch House and Coast Salish members to take a stand for Indigenous rights and are asking peoples of all faiths and all spiritualities to support them on Burnaby Mountain. Please arrive at 8 am ready for a march. We will have the opportunity to bring tangible signs of our prayers from our own traditions – like rosaries, prayer cards, tobacco ties – to the KM facility. We will hear prayers from various faith traditions and some people will take bold action. The moment to stop the dangerous Kinder Morgan pipeline and tanker project is upon us. For seven years now Kinder Morgan has been threatening Coast Salish lands, waters, culture and spirit by poisoning our territory with oil and wrecking the climate that sustains us all, with its dangerous Trans Mountain pipeline. And for seven years, Tsleil-Waututh members have been protecting our territory from proposed oil flowing through our lands, and tankers intruding our Inlet. Now, we are asking you to stand with us in our defence of the lands and waters. Please join us on Burnaby Mountain on April 28 to take bold action against the Kinder Morgan pipeline. Coast Salish members, spiritual leaders and youth will be on the land practicing our culture and spirit as we have for time immemorial. 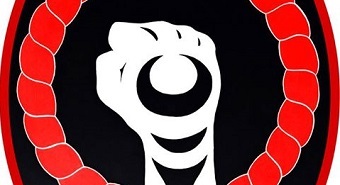 We are calling on you to stand with us as we assert our traditions and practices on our territory, for the sake of reconciliation and decolonization. It is time for you to join our Coast Salish people and do whatever it takes to stop Kinder Morgan. Earthkeepers, Streams of Justice and Salal and Cedar will be actively involved, along with pastors from several denominations. These comments by retired Regent College professor Loren Wilkinson (Kinder Morgan protests raise serious questions for Christians, which includes a recounting of his arrest at Clayoguot Sound) and Earthkeepers founder Jason Wood (Burnaby Mountain: Civil disobedience based on respect for Indigenous rights) provide some helpful background. The Christian community will not be of one mind regarding SOGI 123 or Kinder Morgan. This is a good time to pray for our political leaders and for fellow believers who feel compelled to take a stand. BC Healing Rooms will hold its Open Door Conference this weekend (April 27 – 29) at Glad Tidings Church in Vancouver. There are now Healing Rooms in 17 towns throughout BC; they are part of a burgeoning movement which began in Spokane, Washington in 1999 and now has 2,936 Healing Rooms in 69 nations. 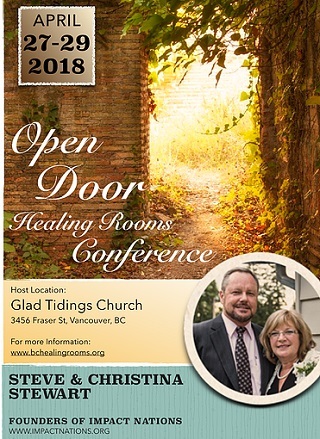 The conference speakers will be Steve and Christina Stewart, who began Healing Rooms in Canada; Steve planted several churches and schools and is also founder and director of Impact Nations. Author Angela Zieske from Quesnel will also speak. Go here for the full BC list.